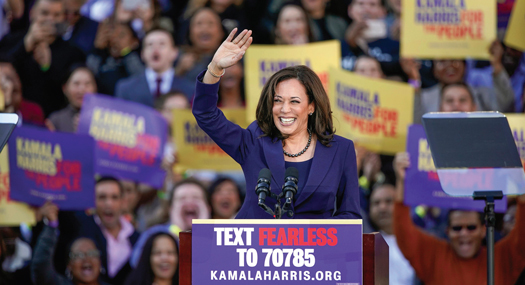 Senator Kamala Harris’ (D-Calif.) recent announcement of her intention to run for president has sparked a wave of support, eager interest in her policy positions, her stance on hot-button issues, and the inevitable comparisons to former President Barack Obama. While the reaction to her announcement has been positive, her decision has also sparked an acerbic and often vicious backlash in some circles, centered around her gender, immigrant background, progressive credentials, her record as a San Francisco prosecutor and attorney general and her general suitability for the job. 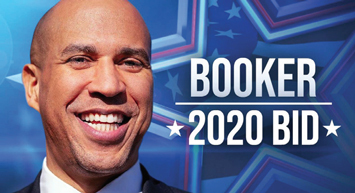 Sen. Harris is joining a crowded Democratic field that includes Sen. Cory Booker of New Jersey, who announced his intentions Feb. 1; Sen. Elizabeth Warren; Rep. Tulsi Gabbard; Rep. Julián Castro; South Bend, Indiana Mayor Pete Buttigieg; Reps. Sherrod Brown and Sen. Amy Klobuchar and author and speaker Marianne Wilkinson. Sen. Bernie Sanders and former Vice President Joe Biden are expected to join the fray soon. Former Starbucks CEO Howard Schultz is exploring a run as an independent candidate, which has ratcheted up concerns among Democrats that an independent could siphon off swing votes and damage their chances of beating President Donald Trump. Kansas City, Missouri resident Michele L. Watley—founder of Shirley’s Kitchen Cabinet—hosted a watch party where she and invited guests were able to watch and learn about Sen. Harris, hear her platform and see her campaign to become America’s first Black woman president. “We hosted the watch party and I got all this backlash from progressives on Facebook, it was like, ‘A Bernie staffer hosting a Kamala Harris event?’ ” said Ms. Watley, a political consultant who was the director of African American Outreach for the Sanders campaign during the 2016 election cycle. “They said she’s not good for people; I shouldn’t be supporting her, etc. I knew I’d get a backlash, but I want to explore, see what she’s about,” said Ms. Watley. Ms. Watley said that as a “whole, live Black woman,” with an assortment of lived experiences, she doesn’t need anyone to give her permission for which presidential candidates to look at. She’s more interested in a person’s policy positions and platform than where they necessarily fall on the ideological spectrum, she said, adding that it certainly makes a difference that Sen. Harris is a Black woman. Ms. Watley, expressed disgust at what she calls the overt sexism, misogyny and racism from critics generally, and the same thing but in a more veiled fashion from progressives. “Bringing up her dating past is stereotypical and plays into the old lazy tropes that women and Black women are jezebels and need to sleep around to get ahead,” said Ms. Watley. “It’s just low. And for the man (former San Francisco Mayor Willie Brown) to take the direction of the conversation in reporters’ questions and not point out the wrong of going into her past was very disappointing. She must truly be a threat if you are bringing up this type of stuff,” said Ms. Watley. Sen. Harris, for Blacks in many quarters, struck the right chord in the way she entered the race with the announcement on Martin Luther King Jr. Day, her first news conference held at her alma mater, Howard University, an HBCU. Her ability to draw a large crowd to her formal announcement at Frank Ogawa Plaza in front of City Hall in her hometown of Oakland, Calif., put many people on notice. She also spoke to her Alpha Kappa Alpha sorors in South Carolina. Significantly, her Iowa town hall, that aired on CNN on Jan 28, was the most watched of its type ever. The daughter of Jamaican and Indian immigrants would make history as the first Black woman and first Asian American to run the country. Baltimore native Nora King, a retired educator and fellow AKA, said she’s excited Sen. Harris decided to enter the race. “I definitely support her. I listened to her announcement and the town hall. She’s my sorority sister,” said Ms. King, who worked in Baltimore City schools for 40 years and retired as an assistant principal. “I will likely try to get involved. I love her go-get-it attitude, her support for women, the air about her and the fact that she’s Black,” she added. In much the same way that some Blacks held on to the idea that Barack Obama was not a “real” African American because his mother was White and his father African, a debate has raged on social media with people seeking to use what is essentially a Black racial litmus test regarding Sen. Harris. These critics say she’s not really Black because none of her ancestors were enslaved in this country. Others just as strongly condemn these statements and comments on the grounds that it’s misguided, unnecessary and divisive. Jamaica, her father’s homeland, was one of several islands of the West Indies where British, Dutch, Spanish and Americans enslaved Black Africans during the cruelty of the Trans-Atlantic Slave Trade. But there is as much distrust and suspicion about Sen. Harris having been a prosecutor and attorney general in California. A 2010 speech she gave during her tenure as District Attorney of San Francisco where she seemingly “boasts” about punishing parents for the school truancy of their children is making rounds on social media to the shock and disdain of some people. Some Blacks and social justice advocates say they just don’t trust her because of her role in putting Black men and women behind bars. Others look at her past actions and are repelled by what they say was her unwillingness to rein in rogue cops, to initiate investigations to free Black men who were believed to be wrongly accused and behind bars. And still others say that she’s so embedded in the system, as president they expect little from her in terms of specifically addressing and catering to the needs of Black people. Dr. Avis Jones-DeWeever is not one of those critics. As a political analyst, she said she has been studying Sen. Harris’ platform and policy positions while looking closely at her record. Much of the feeding frenzy, she surmises, is likely the work of Russians seeking to continue to sow discord and dissension among Blacks and between Blacks and Whites. “It’s been interesting to see the frenzy get so intense so quickly. People are even debating whether or not she’s Black,” said Dr. Jones- DeWeever, a media commentator, author and diversity consultant. “This is a frenzy this early—within seven days—targeting us. She obviously is seen as a formidable candidate and has a long record. It’s not like Bernie who was in Senate for 30 years and hasn’t done s**t,” said Dr. Jones-DeWeever. Sen. Harris, Dr. Jones-DeWeever said, has ties to the “system” that raises a lot of people’s suspicions. The key is to address this in as open a fashion as she has. “I think she needs to lay out her own criminal justice agenda, have a specific speech on this, spell out the issues and details what she’ll do going forward,” she said. “We have to be careful not to be over-critical and not hold her to a different standard. A lot of people aren’t asking this of other candidates. And a disproportionate number of people who’re critical didn’t vote or support Jill Stein. These are the types of folks who aren’t going to vote. They’re really energized but have done very little work on their own. They should learn more about her before trying to kill her candidacy,” she continued. Sen. Harris’ secret weapon, Dr. Jones-DeWeever contends, is reaching out and solidifying the Black vote.